Healthy carbohydrates and sugar reduction have been hot topics for many years now. 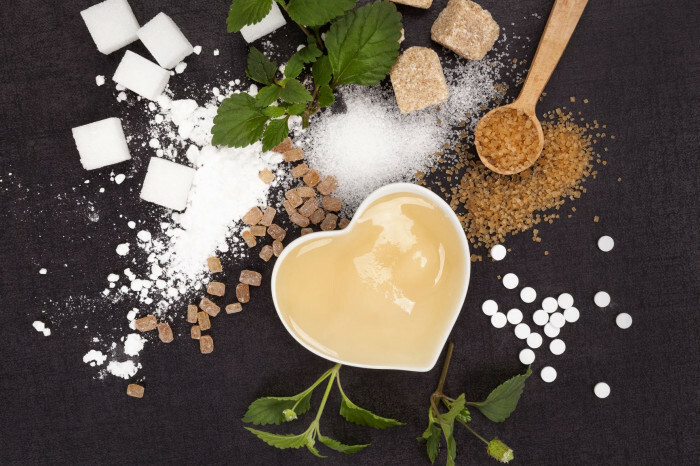 The increasing prevalence of lifestyle-based diseases such as diabetes and obesity, caused in part by excessive sugar consumption, is putting the food and beverage industry under increasing pressure to find alternatives to sugar. Chemically synthesized artificial sweeteners and bulking agents have been used for many years to try and address the need to reduce sugar consumption, however they are generally perceived negatively by consumers. This has created a need for new solutions originating from natural sources. The production of natural sweeteners, bulking agents and functional foods is estimated to be collectively worth $10 billion by 2025 (Markets and Markets 2015, Tate & Lyle Plc, Stevia Corp). Enzymes could have the answer to this challenging dilemma, being natural and powerful processing aids used to access valuable functionality in food chemistries. They can be used to access new sweet compounds with lower calorific value from plant material (e.g. steviol glycosides) or enhance sweetness properties (e.g. production of tagatose from lactose). They can also be used to access new, interesting and valuable molecules that can replace the highly functional aspects of sugar, such as the ability to act as a bulking agent (e.g. production of galacto-oligosaccharide from milk lactose). These soluble fibres can also have a prebiotic effect, adding an additional benefit to managing lifestyle-related health challenges. For more information on this please download our white paper on healthy carbohydrates. Biocatalysts has been active in the carbohydrate modifying space for the last 35 years, offering many standard products that can extract different flavours and various functional molecules from carbohydrate substrates e.g. fruits, vegetable, grain or cereal. One example would be Depol™ 40L which is a unique mixed carbohydrase enzyme which has been specifically developed to aid the reduction of natural vanilla extracts from vanilla pods. Alongside our standard enzyme range, we have also worked on over 10 enzyme projects to develop and manufacture exclusive carbohydrate modifying enzymes for customers. One such example would be the development and manufacture of a novel enzyme that is used to produce a specific oligosaccharide with fantastic prebiotic properties. Take a look at our series of videos where Dr Andrew Ellis, Technical & Compliance Director, talks about our history, how enzymes can be used to address sugar reduction challenges and the reasons why companies are coming to us to help provide solutions.